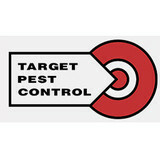 Target Pest Control has your pest solution. Established in 1984, we have years of experience eliminating pests from residential and commercial properties throughout eastern long island. A member of the National Pest Management Association and fully certified, we can control all types of pests including ticks, fleas, spiders, roaches, earwigs, crickets and rodents. CT Pest Elimination is a full service Pest Control company servicing both businesses and residences throughout the state of CT. We offer great home protection plans to help preserve the value of your home! Also, we specialize in rodents, wild life, and various insects including Bed Bugs, Termites, Roaches, Carpenter Ants, Bees, Fleas, and more! With so many exterminators to choose from, why should you choose React Pest Control? We’re not like the big pest control companies. We are a family business who takes the time to listen to your needs and do the job right. Our business was founded by Jim Green in 1993. As a former member on the board of directors for the Long Island Pest Control Association, Jim Green knows the importance of providing high-quality pest management solutions. We provide service agreements on a weekly, monthly, or quarterly basis with a service warranty included. We are full service exterminators specializing in pest and termite control. We also offer carpentry repair in the event of pest damage to your home or business. Your satisfaction is always guaranteed. We also offer real estate termite inspections and the appropriate paperwork required by many lending agencies including FHA and VA (HUD wood destroying insect infestation report) for a standard fee. Just call or E-Mail our office and one of our representatives will get back to you, usually within the same business day. Remember, we also offer carpentry repair in the event of insect damage that has already been incurred. Innovative Termite & Pest Control has grown from a small one man operation, to a large family-owned business with an experienced staff of residential and commercial pest control service specialists. 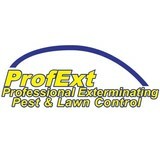 If your looking for an affordable exterminator Long Island, you've come to the right place. Affordable service you can trust. Innovative has been active in state pest control associations and follows strict standards of safety and EPA guidelines. We have been in business for over 20 years. We are fully licensed and insured. Unwanted guests are never fun, especially when you can’t ask them to leave. 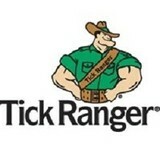 Luckily, East Hampton pest control companies have no problem kicking them out. Whether there’s a rodent in your basement or insects in the attic, call your local East Hampton exterminator to take care of them — do not try to wrangle them out yourself! 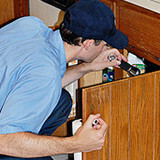 Not sure which type of home pest control service in East Hampton, NY can tackle your issue? Read profiles and ask about their past experiences to get a good idea.